Hello, friends! I hope you had a glorious holiday weekend! Ours was so lovely. 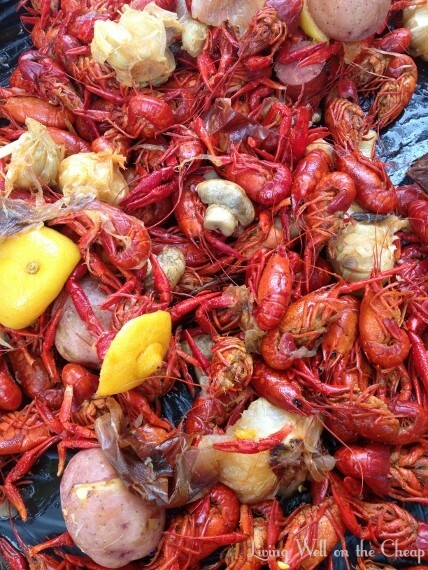 We had a crawfish boil at my sister’s to celebrate her birthday. It’s okay to be jealous. 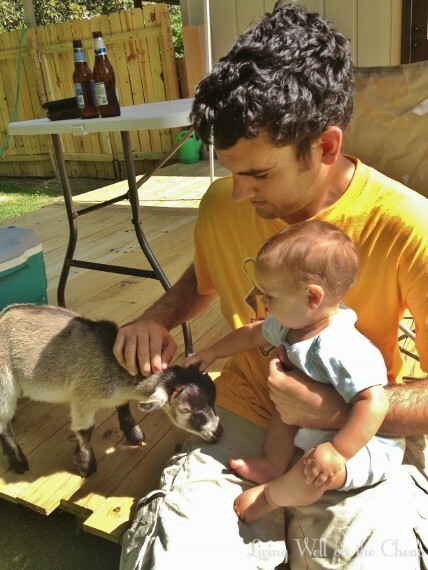 Her baby goat, Jeffrey, has gotten much less skittish since the last time we were there. We got in some quality goat cuddles! They just got another goat this weekend. I can’t wait to meet him! On Sunday we went swimming with our friends Cassie and Nic (Jack loved the pool!) and then I spent Memorial Day telling the backyard who’s boss. Can’t wait to post about my new herb garden later this week. May is almost over and I want to take a moment to thank my awesome sponsors. I have a new one this month! Michelle runs the blog Dixie Lust, which is all about embracing the fun, food, and culture of the Deep South. I love it. I’m definitely going to try her recipe for crock pot Cajun shrimp ASAP! And of course my girl Brandi is still representing her etsy shop over there on the sidebar! She’s clearly been doing much more thrifting and estate sale shopping than me because she’s got all kinds of sweet pretties listed for sale. My favorite are these pineapple candleholders. I love me some vintage brass! It’s back to the grind today, but I can’t tell you how grateful I am to all of you for reading. I realized last night that Friday was my 500th post! I definitely couldn’t have made it this far without the encouragement and support of my readers (oh and I guess Nick too, haha). Thank you so much and I hope you have a glorious, glorious Tuesday!